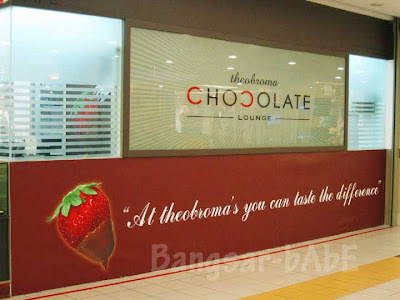 Shum and I were craving hot chocolate last week, so we made our way to Theobroma Chocolate Lounge in 1 Utama to get our fix. On a weekday lunch, it was pretty empty; with only 2 tables occupied. We placed our orders and sat in a quiet, cosy corner. The place is stylish and comfy, with plush leather chairs and dark wood flooring. 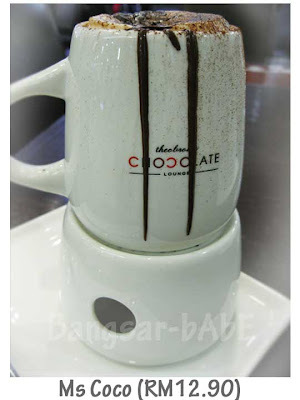 We both ordered the Ms Coco (belgian dark chocolate) in a mug and warmer. Topped with rich, Belgian chocolate shavings, each sip was rich, smooth and comforting. Since it was dark chocolate, we didn’t find it cloying. 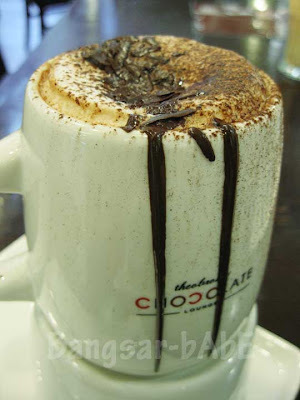 The melted chocolate on the rim of the mug is Theobroma’s signature finish. The warmer keeps the drink warm, which is great as the hot chocolate won’t taste as good when it gets cold. It also made me drink slower, so every sip was fully enjoyed! 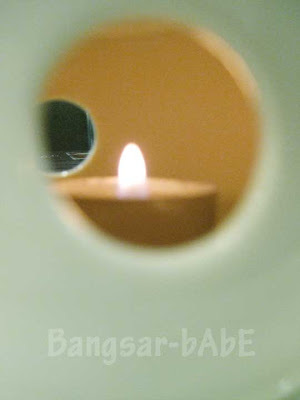 *The candle flame kept going out, so I asked for a lighter and lit it up whenever it goes out. Verdict: I found the hot chocolate decent, and wouldn’t mind a revisit. so sinful-how could you maintain your figure? im wondering abt foodbin comment too..
nice meeting u last wkend! 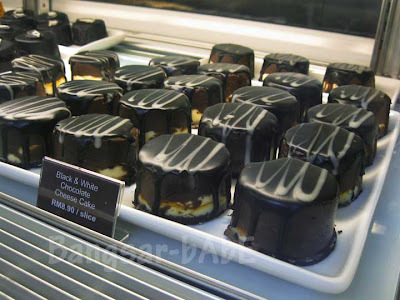 best place for choc lover…but really, super high sugar and calories…. I passed by many times but it was not tea or snack time. The warmer really good. Yes it will slow down the intake to a sip at a time which is a good thing. SimpleGirl – Errr…must limit the intake lar. 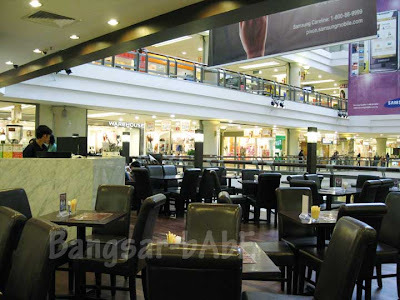 BSG – For me, I’d hang out there to people watch! 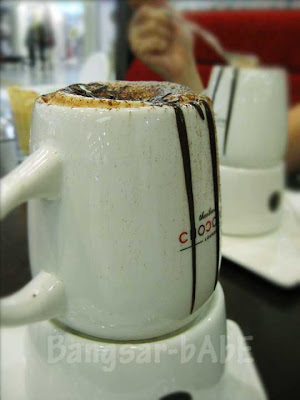 For comparison, please try the hot chocolate at Godiva Cafe (Pavillion), Chocz (KLCC), & Schokolart (Solaris Mont Kiara). All in the interest of research, mind you. 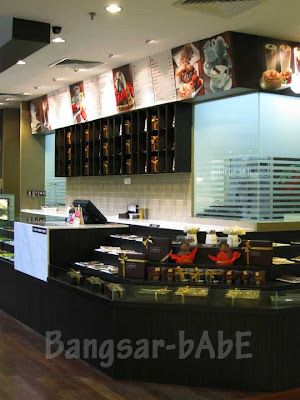 Sapuche – If I’m not mistaken, there are 3 branches – 1 Utama, Pavilion KL and Bangsar Village. allie – Wah…die hard fan ar? 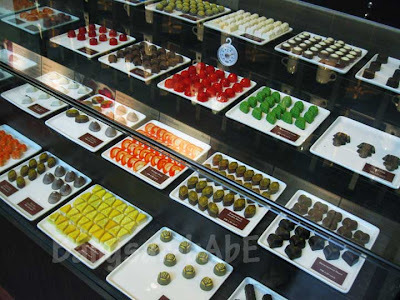 Then you have to come to KL and try these chocolates! 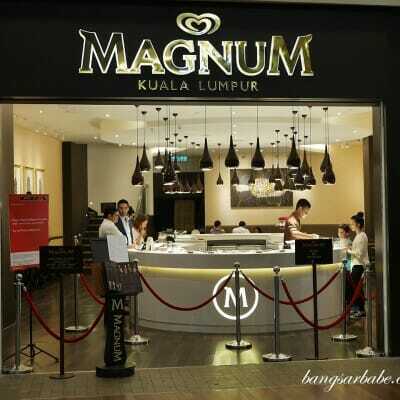 Had a great time at this place during my KL trip…the chocolate drinks both hot and cold are just superb.